When I was little, my father used to tell a story of a little boy from long ago. He was walking among many people engaged in a flurry of activity. “What are you doing?” he asked one man with a chisel and hammer in his hand. “I’m cutting this stone down to a particular size,” he answered. Sometimes I don’t think we have any idea what we’re actually doing. We only see the stone in our hands, not the grand design of which we’re a part. This is the final day of Conciertos de la Villa de Santo Domingo. This evening the “grand concert” takes place. 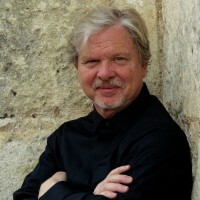 It is called The Splendor of the Baroque, in which Camerata Colonial, a chamber orchestra comprised of remarkable musicians from the United States and members of the National Symphony Orchestra of the Dominican Republic, will perform music by Bach, Handel, Purcell and Boyce – all in a convent whose roots date back to 1530. But, in these last hours before that final event, as I think about what will have been left behind by this project, it will be the memories of a side-by-side with the National Youth Orchestra, master classes at the National Conservatory, and an education concert called A Journey to the Baroque for 400 school children bused in from here in Santo Domingo and from both ends of the country. And that leads me to contemplate what we do – what we REALLY do. This project was envisioned as a way to celebrate the riches of Santo Domingo’s Colonial City, and of strengthening its future by drawing attention to its incredible resources. Partnerships were made to draw attention to what is here, and what can be lost if it isn’t protected. Every one of our events here includes a discovery experience of the space in which it is held. Buildings dating back to the 16th Century have great history in them – moments in his country’s unique history as the Western capital of the Spanish Empire: Stories of Columbus sailing into the river next to the Colonial City, of the first sermon on human rights in the New World given by a very courageous Dominican friar near the convent five centuries ago, of the building of the first cathedral; stories of the first university, the first palace, and as I wrote about in the previous blog entry, a recent addition decades after the days of the Trujillo regime – a museum honoring the Dominican Resistance and other resistance movements around the world. Now, as this project comes to an end, there are new stories: The concertmaster who donated his strings, the trumpet player who is sending mutes and mouthpieces to the bands here, the bass player/composer whose music was heard in recital in the Dominican Republic for the first time. There are stories of master classes that left new musical knowledge behind, of school children who heard an orchestra for the first time and who learned old, traditional songs to sing en mass with Camerata Colonial during the orchestra’s educational concert yesterday. For the participating musicians there were conscious efforts to build community as well: delicious dinners together made possible through the generosity of the restaurant owners living in the Colonial City, a schedule that allowed the musicians time to both work and to form new bonds of friendship -a trip to a resort to enjoy the beach, time to see the sunset. Things we never have time to do under the stresses of the “normal” life of a professional musician. Of course, this is just a project, and soon we’ll all go back to our “regular” lives. Surely, though, there is something to learn here – something to take back. We are more than just a concert. Actually, that may be the least important thing we do. Tonight we will play Bach, Handel, Purcell, and Boyce, but we will leave something even more important behind, long after the last note has sounded. We are making more than just a concert, we’re builders of a new community. A wonderful project & a beautiful post!